Gordon Greenwood’s career is focused on representing what we like to call “real people” — everyday citizens who through the fault of someone else find themselves facing enormous physical and financial challenges. Mr. Greenwood began working as an Associate at Kazan Law in 1988, concentrating for more than a decade on representing hundreds of persons who either worked with or around asbestos containing products, or whose families worked with these toxins. 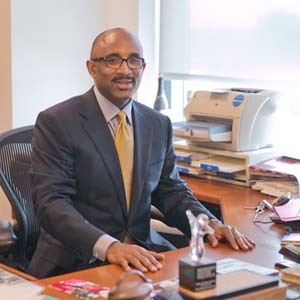 Prior to joining Kazan Law, Mr. Greenwood spent eight years as a Trial Attorney in the San Francisco Public Defenders Office, defending the rights of those accused of criminal offenses. During his time there he conducted more than fifty jury trials, in addition to countless hearings and other administrative proceedings, representing criminal defendants. This experience fueled his passion for a career devoted to representing the under-served and the under-represented. 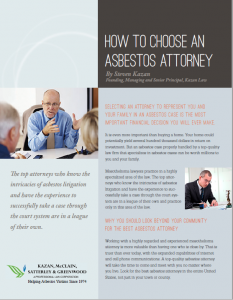 In addition to his maintenance of an active practice representing victims of asbestos disease, pro bono cases are a key component of his case load. These are primarily focused on defending and prosecuting claims related to elder financial abuse.